Flume goes to Atlanta and Toulouse! Strong group presence at the MNF2018 in Georgia Tech, Atlanta. Well done to Andrea and Shigang on delivering excellent talks and Stavroula on her plenary talk. Also well done to Neil in representing us at the Mixing16 presenting his work on non-newtonian Taylor Couette flow. 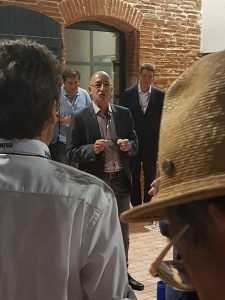 So delighted with Prof Mike Yianneskis receiving the EFCE Lifetime Recognition award for his contribution to mixing research in the same meeting. Our students shine at the STEM4 Britain event, 12 March 2008. Congratulations to Neil for making news with his latest co-authored publication in the Physics of Fluids. 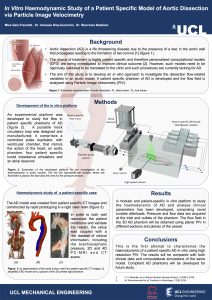 ‘New research reports advances in measuring blood flow velocity in deep tissue’ –Thore’s work features in a news release!. Thore’s paper on Photoacoustic flowmetry using a medical ultrasound scanner is out! Our new paper (with Dr Song form Division of Surgery) on Semi-interpenetrating network hyaluronic acid microgel delivery systems in micro-flow is now online in the Journal of Colloid and Interface Science. Well done to Andrea and Qiqing for the microfluidic work. Jennika Vadera, our summer intern, has been shortlisted by the faculty for best summer project. Jennika worked in our lab over the summer developing a microfluidic flow cytometer for red blood cells. Good luck with the presentation Jennika. Our new Physics of Fluids paper on local viscosity distribution in bifurcating blood flows is now online.The paper applies a viscosity model developed by Dr Stathis Kaliviotis to our blood flow data in a T junction channel to obtain distribution of viscosity by taking into account the aggregate structures that Stathis has detected! Congratulations to Thore for having his first journal paper accepted in the Journal of Biomedical Optics. STEM for Britain for Mirko and Thore. 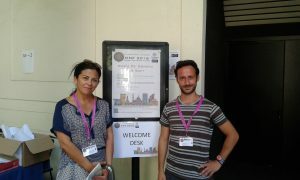 Congratulations to Mirko and Thore who were selected to present their work in the Pariament! 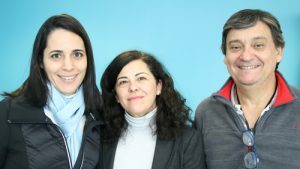 This month we welcome Professors Renato Machado Cotta and Carolina Naveira Cotta from the Federal University of Rio de Janeiro. Renato is funded by a prestigious Leverhulme visiting professorship and Carolina by a scholarship from CAPES/Brasil. 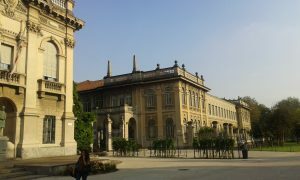 Renato and Carolina will be working on novel experimental and theoretical aspects of microscale heat and mass transfer. 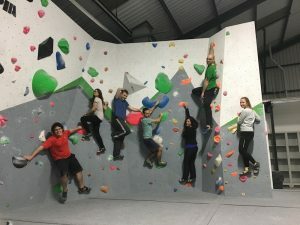 What a fantastic Christmas lunch and bouldering experience to end the year! Thank you Gaia and Thore for organising!. FLUME goes to APS!. Neil presents his VIV and non-Newtonian Taylor-Couette flow work at the APS DFD2017 meeting in Denver Colorado. Congratulations to Mirko whose aortic dissection paper just appeared in J. Royal Society Interface. Andreas attends the Blood flow meeting in Paris. Congratulations to Andrea for passing his transfer viva on 13 September. 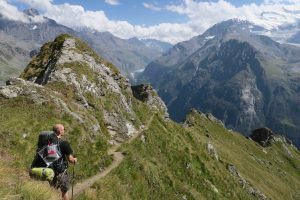 We welcome back Thore who just completed a 3 month internship in Sagentia and went hiking in the Alps. We also say goodbye to our summer projects students Kamal and Jennika who completed their MSc project and internship respectively. FLUME and MUSE go to Spain. 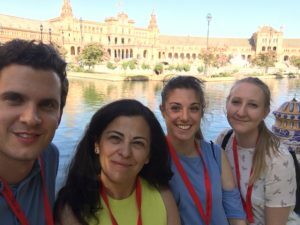 Mirko and Gaia, joined by Francesca, present their work at ESB2017 in Seville, Spain.They also chair a session. Welcome to Jennika Vadera who joins us as a summer intern. 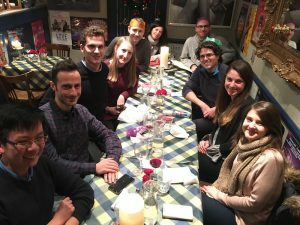 Jennika, a MEng student, has been awarded an EPSRC vacation bursary to conduct research on microfluidic characterisation of cell biomechanics properties. 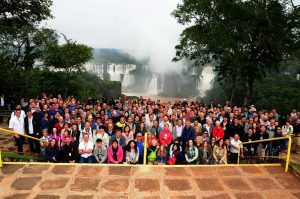 Stavroula presents RBC work at the 9th World Conference on Experimental Heat Transfer, Fluid Mechanics and Thermodynamics – ExHFT-9, held in Iguazu Falls, Brazil, from June 11 – 15, 2017. Congratulations to Gaia for winning best poster award at the MechEng PhD Conference 2017. Congratulations to Thore for publishing his first journal paper ‘From medical imaging data to 3D printed anatomical models’ in PLOS One. Our new paper entitled ‘Red blood cell aggregate flux in a bifurcating micro channel’ is now online. Medical Engineering and Physics, doi.org/10.1016/j.medengphy.2017.04.007. Congratulations to Mirko Bonfanti who successfully passed his upgrade viva on 31 May. Welcome back to Dr Neil Cagney who joins us again after a brief period in UCL Earth Science to work on the CORAL project. 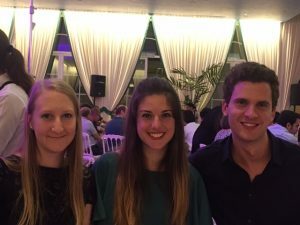 Well done to Gaia and Mirko having had their abstract accepted for Oral presentation at the ESB 2017 in Seville. New paper on Partitioning of RBC aggregates in bifurcating microscale flows is published in Scientific Reports. https://www.nature.com/articles/srep44563. 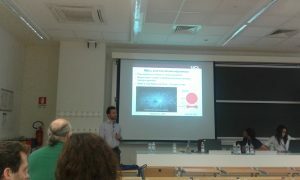 Congratulations to Thore for successfully defending his MPhil/PhD transfer. 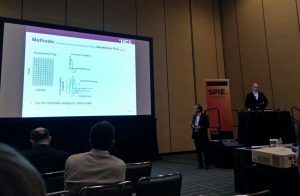 Thore pr esents his paper entitled ‘Acoustic resolution photoacoustic Doppler flowmetry using a transducer array: optimising processing for velocity contrast ‘ in SPIE Photonics West Conference, San Francisco 2017.
haemodynamics‘ in MNF 2016 in Milan.